Luxury 2 bedroom fully furnished apartment in the beautiful area of Moubra. 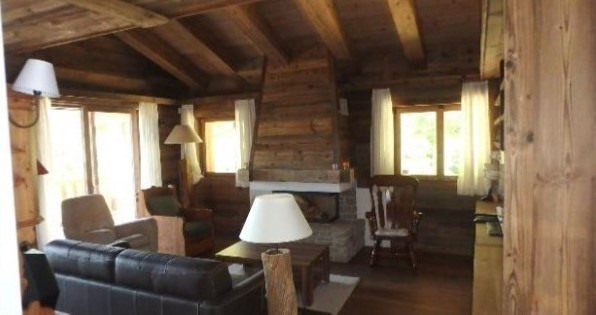 This 3,5 room apartment is on the 1st floor of a chalet comprised of four apartments. Despite not being under the eaves, both the living room and one of the bedrooms have attic shaped ceilings, which gives volume and size. 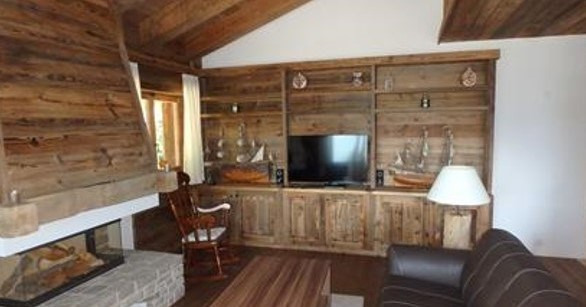 With both modern and rustic old wood finishes, this exclusive property offers comfort and well-being. 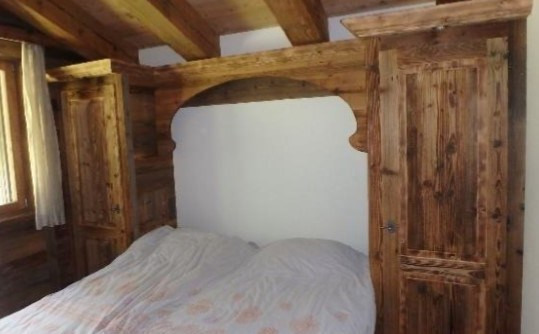 The decorative details were made to measure, as much of the furniture was made of old wood; including beds, a beautiful library in the living room, kitchen and a vaulted ceiling at the entrance. The apartment is equipped with an alarm, centralized electric blinds, a video intercom, dimmable spots, independent thermostats in each room, automatic watering on the balconies and many built-in wardrobes and large storage spaces. Composed of 3.5 rooms, it includes an entrance hall with guest WC, two bedrooms each with bathroom, one with access to a balcony, a living room with stone fireplace, a fully equipped kitchen with commissary and a dining room with access to a beautiful south-facing balcony of 32 m². 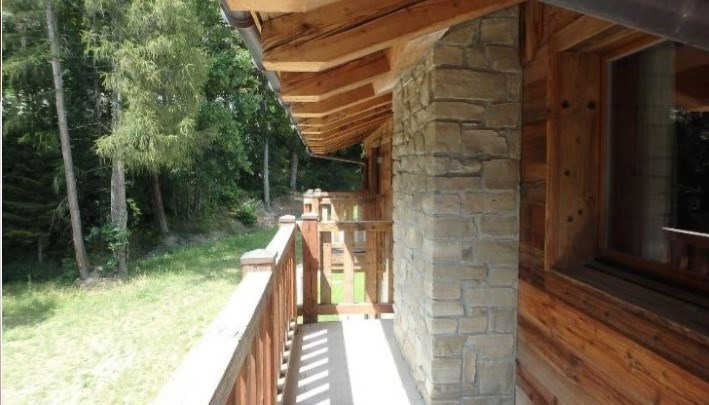 It is oriented south-west and enjoys an exceptional panorama with optimal sunshine throughout the day. 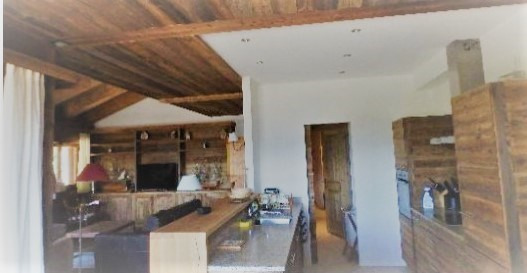 A cellar, a ski room and a parking space in the underground garage (with the possibility to be closed individually) complete this property and are included in the sale price displayed. 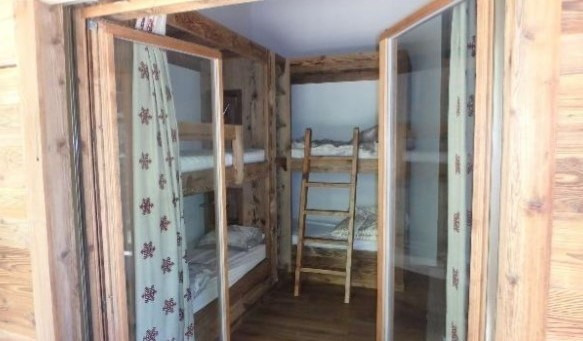 This apartment is sold fully furnished with all the material for the bedding and the kitchen and can thus be inhabited immediately. 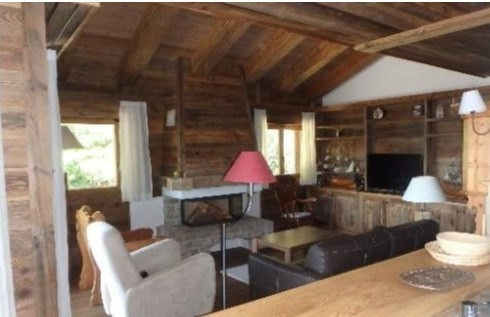 This apartment is part of a duo of cottages named Grand-Chêne A and B, in an exceptional location and absolute calm. Near the center of Crans-Montana, yet located in a natural setting on the edge of the forest, the “Jack Nicklaus” golf course is 5 minutes away. The shops of the resort are accessible by foot, as the lake of Moubra and its many activities and the carousel, which is next door. 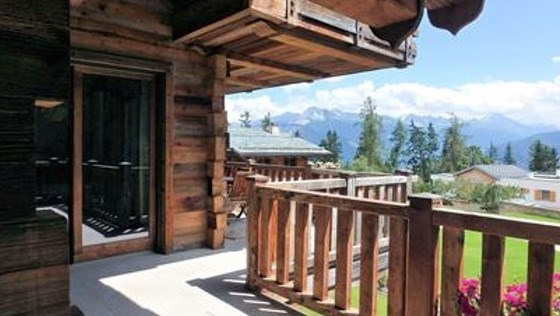 The resort Crans-Montana is known for its sunny days, its facilities, sports events (skiing, golf) and its lively village. As enjoyable in the summer as in winter. 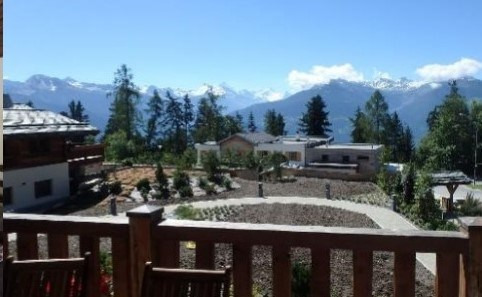 Note: This apartment is for sale as a second home and to foreigners at the posted price of CHF 1’820’000. It may, however, be sold as a principal residence for a lower price. In the case of interest we will send you the price details.